This has been a rather lean year on the blogging front. So as 2013 nears its end, I thought I should at least try to list a few recent talks and experiments. Things changed a bit this year. No more am I the freelance troublemaker, coding in lonely seclusion, contemplating the mysteries of cashflow. Reader, I got a job. And not just any old job. In May I started work at the National Library of Australia as the Manager of Trove. Trove, of course, has featured prominently here. 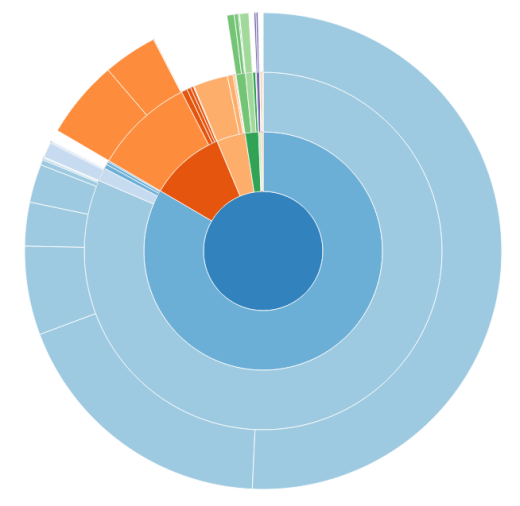 I’ve screen-scraped, harvested, graphed and analysed it — I even built an ‘unofficial’ API. Last year the NLA rewarded my tinkering with a Harold White Fellowship. This year they gave me the keys and let me sit behind the wheel. Now Trove is not only my obsession, it’s my responsibility. Trove is a team effort, and soon you’ll be meeting more of the people that keep it running through our new blog. I manage the awesome Trove Support Team. We’re the frontline troops — working with users, content partners and developers, and generally keeping an eye on things. TroveNewsBot is a Twitter bot whose birth is chronicled in TroveNewsBot: The story so far. 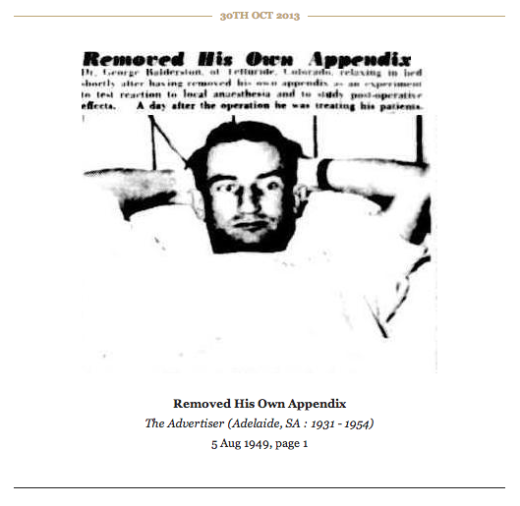 Several times a day he posts a recently-updated newspaper article from Trove. But he also responds to your queries — just tweet some keywords at him and he’ll reply with the closest match. You can read the docs for hints on modifying your query. TroveNewsBot also offers comment on web pages. Tweet him a url and he’ll analyse its content and search for something relevant amidst his database of more than 100 million newspaper articles. Every few hours he automatically checks the ABC News Just In page for the latest headlines and offers a historical counterpoint. I should say something more serious here about the importance of mobilising our collections — of taking them into the spaces where people already are. But I think that might have to wait for another day. You can never have too many bots. Trove includes the collections of many individual libraries, archives and museums — conveniently aggregated for your searching pleasure. So why shouldn’t each of these collections have its own bot? It didn’t take much work to clean up TroveNewsBot’s code and package it up as the Build-a-bot workshop. There any Trove contributor can find instructions for creating their own code-creature, tweeting their resources to the world. So far Kasparbot (National Museum of Australia) and CurtinLibBot (Curtin University Library) have joined the march of the bots. Hopefully more will follow! Inspired by the British Library’s Mechanical Curator, TroveNewsBot decided to widen his field of operations to include Tumblr. There at TroveNewsBot Selects he posts a new random newspaper illustration every few hours. Unfortunately being newly-employed meant that I had to give up my place at One Week | One Tool. The team created Serendip-o-matic, a web tool for serendipitous searching that used the DPLA, Europeana and Flickr APIs. But while I missed all the fun, I could at least jump in with a little code. Within a day of its launch, Serendip-o-matic was also searching Trove. Well I couldn't make it to #owot, put at least I supplied the first pull request: http://t.co/txcCJq6tHW Trove integration achieved. This was a quick hack for my presentation at eResearch2013 — I basically just took the QueryPic code and rewired it to search across Australian theses in Trove. 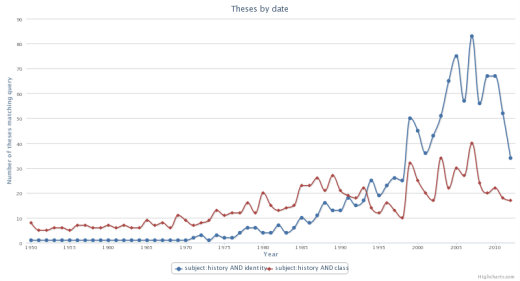 What I ended up with was a simple way of exploring research trends in Australia from the 1950s. 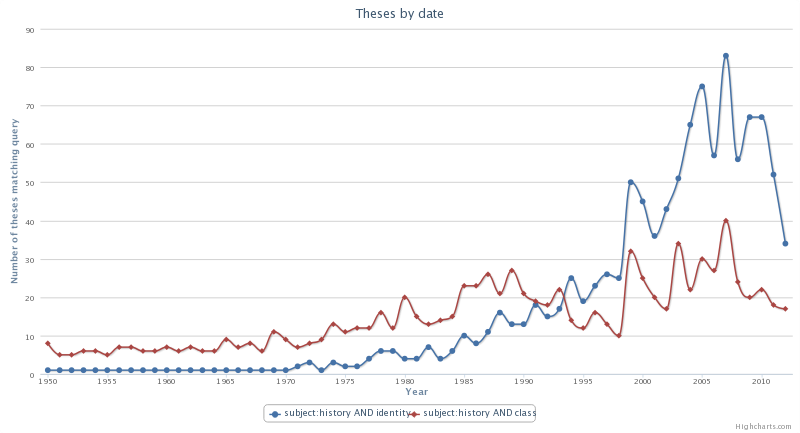 Some of the thesis metadata is a bit dodgy (we’re looking into it!) so I wouldn’t want to draw any serious conclusions, but I think it does suggest some interesting possibilities. As a Trove API user I’ve always been a bit frustrated about the inability to share live examples because of the need for a unique, private key. Europeana has a great API Console that lets you explore the output of API requests, so I thought I’d create something similar. My Trove API Console is very simple at the moment. You just feed it API requests (no key required) and it will display nicely-formatted responses. You can also pass the API request as query parameter to the console, which means you can create easily shareable examples. Here’s a request for wragge AND weather in the newspapers zone. This is also my first app hosted on Heroku. Building and deploying with Flask and Heroku was intoxicatingly easy. Yep, I finally got around to playing with d3. Nothing fancy, but once I’d figured out how to transform the faceted format data from Trove into the structure used by many of the d3 examples I could easily create a basic treemap and sunburst. The sunburst visualisation was pretty nice and I thought it might make a useful tool for exploring the contents of Trove’s various zones. After a bit more fiddling I created a zoomable version that automatically loads a random sample of resources whenever you click on one of the outer leaves — the Trove Zone Explorer was born. As mentioned above, Trove is made up of collections from many different contributors. For my talk at the Libraries Australia Forum I thought I’d make a tool that let you explore these collections as they appear within Trove. The Trove Collection Profiler does that, and a bit more. Using filters you define a collection by specifying contributors, keywords, or a date range. You can then explore how that collection is distributed across the Trove zones — viewing the results over time as a graph, or drilling down through format types using another zoomable sunburst visualisation. As a bonus you get shareable urls to pass around your profiles. The latest sunburst-enabled version is fresh out of the shed and badly in need of documentation. I’m thinking of creating embeddable versions, so that institutions can’t create visualisations of their own collections and include them in their sites. Conversations with collections, Digital Treasures Symposium, 21 June 2013, University of Canberra. Reinventing digital culture, Innovative Ideas Forum, National Library of Australia, 10 September 2013. Collected Content / Distributed Meanings, South Australian State History Conference, Adelaide, 23 September 2013. From portals to platforms: building new frameworks for user engagement, LIANZA 2013 Conference, Hamilton, New Zealand, 21 October 2013. Beyond Discovery (slides), eResearch 2013, Brisbane, 23 October 2013. Trove: Being the cloud (slides, mp3), Libraries Australia Forum, 31 October 2013, Melbourne. Trove in a Linked Data Universe (slides), ACOC Seminar 2013, ‘Link by Link: Data Integration and Evolving Web’, 1 November 2013. Thankyou for writing this overview of your year Tim. You always do such interesting stuff. It is great that you are at the helm of Trove. I particularly appreciate your Trove API Console – much needed. I look forward to following your work in 2014!